Running a business is not easy work, whether you are simply a business	owner that handles the paperwork or you are part of the day-to-day operations. One very important component of stress management to incorporate is relaxation	breathing and breath awareness. Although it may seem counter-intuitive,	slowing down and taking the time to clear your mind is actually effective	in lowering both anxiety and stress, which can lead to improved productivity. Our breath awareness program at Sky Management Solutions is designed to	help you and your employees become aware of how you respond to stress. 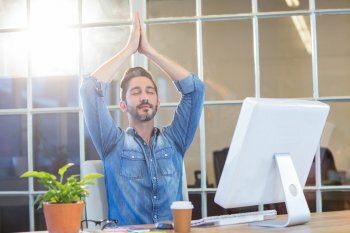 By practicing certain breath awareness exercises, you may find an improvement	in both relaxation and productivity. To request a complimentary evaluation	or enroll in the program,	contact us now at (855) 570-3737!